Move now, move later! – helping women with Lupus reclaim their health. The workout and I have a long complicated history. In elementary school, I was super creative in getting out of P.E. and probably only went about half the time. As a chunky child, I sat out of fear of looking like a fool. In high school, I spent an hour plus at the gym every dang day, running on the treadmill and lifting weights. As I got older, the exercise thing was like a rollercoaster. I was either completely dedicated to it or dedicated to the couch. There were no in-betweens. The only thing these exercise stages shared was that exercise equaled punishment for being less than. Thankfully, that’s not where I am today. Part of my healing journey was to find a way to work exercise into my life in a loving way. To do this, I developed a new way of looking at exercise. 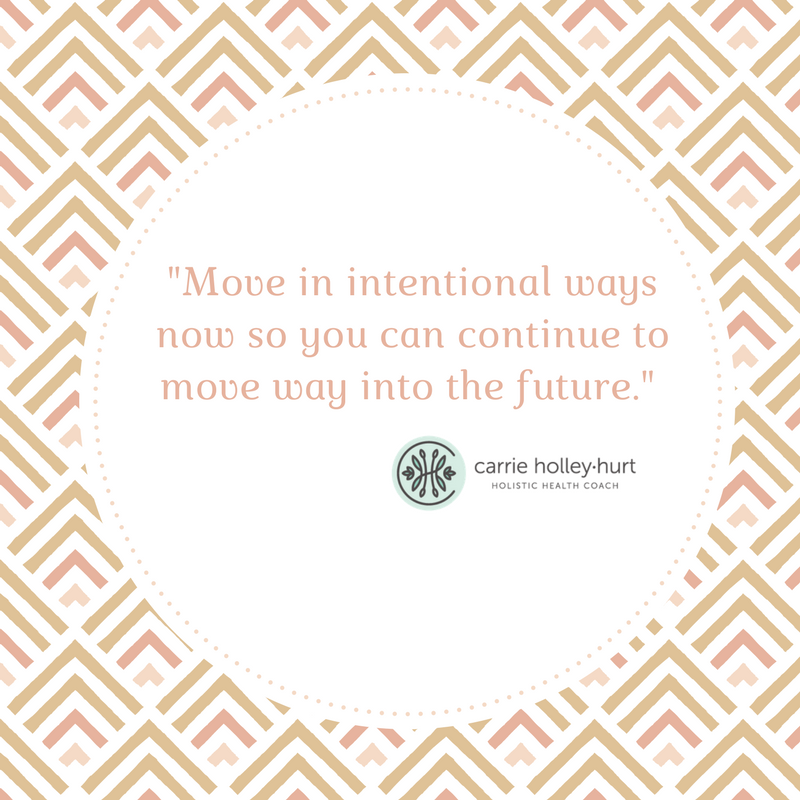 I would move in intentional ways so I could continue to move in those ways into the future. While I have a much more rigorous exercise routine now, this idea is my base. At the very minimum, I walk now because I want to take long walks when I’m older. I pick up heavy objects and hold planks for my kids to crawl under because I want a strong body well into my old age. I do yoga and stretch throughout my day so I can keep my balance and flexibility when age makes that more difficult. Movement is an investment in my future self. Of course, exercise can be challenging to fit into your day, especially when you have little ones, work, laundry, and other adulting to do. But you have to prioritize it. Just like you prioritize brushing your teeth, eating food, and update your Facebook status. Over the next few weeks, I’ll be sharing different ways to get exercise into your life. But for now, start brainstorming about what you hate about exercise, what you love about it, and why you aren’t getting enough. Leave me a comment below! Previous Post Seasonal, local, delicious vegetable at my door? Yes, please!